Taxes are a nonnegotiable piece of modern day life. However, in rare cases, if you follow certain rules and regulations, you can defer them. For example, have you heard about 1031 exchanges? Also known as like-kind exchanges, 1031 exchanges are detailed in (and named after) Section 1031 of the Internal Revenue Code. If you use one of these exchanges correctly, you can defer the recognition of capital gains that are typically due upon the sale of a property. However, before you attempt to qualify, you might want to learn how 1031 exchanges work . . .
A 1031 exchange is a tax strategy detailed in the Internal Revenue Code that states that if certain conditions are met, the gain on the sale of property used in a trade or business or held for investment will not be taxed at the time of sale if the proceeds are reinvested in “like-kind property.” Instead of paying taxes at the time of the sale, the person will pay taxes when their new property is sold (or otherwise transferred). 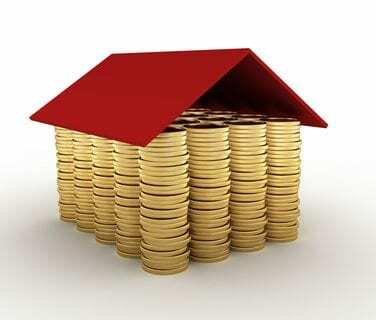 This will allow the person to invest more money in their next property. Plus, if they continue making 1031 exchanges and then leave the final property to a beneficiary at their death, they may be able to bypass the tax burden entirely. How do 1031 exchanges work? In the case of a deferred exchange, before qualifying investment property is sold, the seller must enter into a 1031 exchange agreement utilizing a qualified intermediary, assigning his rights and obligations under the sale contract to such qualified intermediary. Next, the seller must timely identify the like-kind replacement property (or properties) that they propose to buy within 45 days from the sale of the original property. After that, the seller will need to close on the replacement property within 180 days of such sale. If these steps are completed correctly, the seller will have successfully completed a 1031 exchange and will not be required to pay taxes on the sale at that time. At first glance, this may seem to be a very simple process. However, to qualify for a 1031 exchange, you must follow the many strict rules and regulations of the IRS. As previously indicated, you must reinvest the proceeds of the sale within a strict time limit. You have 45 days to identify the replacement property and 180 days to close on it. Only investment properties and properties held for a trade or business qualify. Additionally, you must reinvest in a like-kind property (though the parameters for this are quite broad for real estate). Real property must be exchanged for real property, and personal property must be exchanged for personal property of like kind or class. Moreover, there are special rules regarding debt that must be followed if the gain on the sale is to be totally deferred. In addition, there are special procedures that can be used in situations where you need to acquire the replacement property before the original property is sold. There isn’t enough time to go beyond the basics in this blog post, which is why it is so important that you seek professional help before you start the 1031 exchange process. This will ensure that you both qualify for the exchange and that you fully comply with the IRS’s many rules and regulations. Do you need help with a 1031 exchange? If you’re interested in exploring the benefits, rules, and limitations of 1031 exchanges, contact the attorneys at Carnahan, Evans, Cantwell, & Brown if you live in or near Springfield, Missouri. We would be happy to help you decide whether a like-kind exchange would benefit your unique situation. For more information, please give us a call at 417-447-4400. We look forward to hearing from you!